Time, energy and storage capacity determine the accuracy with which cells can measure chemical concentrations. That is apparent from research conducted at FOM Institute AMOLF. The scientists first formulated a theory and subsequently demonstrated its validity with observations of a bacterium. They described the results of their research in two scientific articles. Whether it is bacteria seeking food or human cells that differentiate into brain cells, all living cells must be able to respond to signals from their environment. 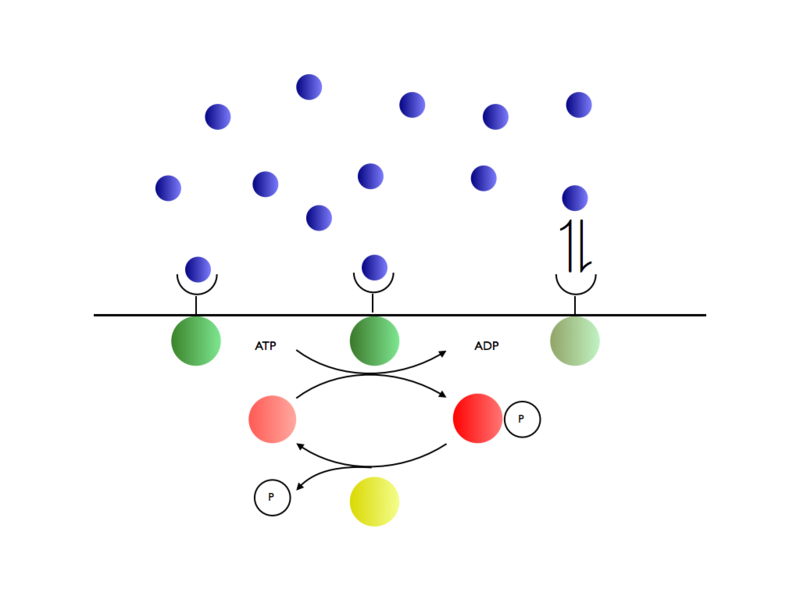 These signals consist of chemical concentrations of nearby ligand molecules. Cells can measure these chemical concentrations with an unparalleled accuracy thanks to receptor proteins on their surface that bind to the surrounding ligand molecules. 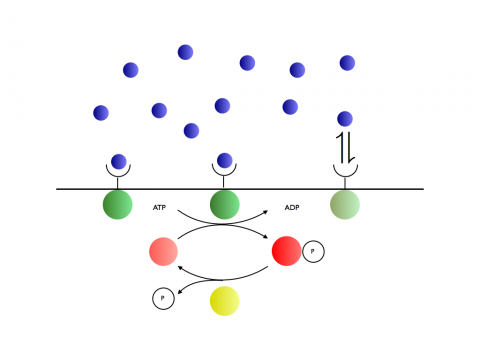 A network of chemical reactions subsequently sends this signal into the cell. These networks are the information processing machines of the living cell. Just like a computer the cellular sensing system needs time, energy and storage capacity to function. A major difference between a computer and the cellular sensing system is that cellular processes exhibit a lot of noise. It was therefore not clear how cells could measure concentrations with a high degree of precision. The AMOLF researchers developed a theory that describes the accuracy of a concentration measurement based on the number of proteins present, and the time and the energy that the cell invests in the measurement. The researchers first of all looked at passive sensing systems, which do not consume any energy. The authors showed that these systems can only estimate the ligand concentration from the instantaneous ligand-binding state of the receptor proteins. The number of receptor proteins therefore limits the number of measurements over which the cell can average to estimate the ligand concentration. To go beyond this sensing limit, the cell needs to remember measurements from the past and include these in the average. This, however, requires an active signalling system that uses time, energy and other proteins to store the receptor measurements. To the surprise of the researchers these three resources were found to determine the measurement accuracy like links in a chain. The precision is limited by the resource that is the least present. This observation led the researchers to come up with a design principle not previously identified for this type of system: in an optimal sensing system all resources are equally limiting. And what did the researchers find? The network that the bacterium E. coli uses to find food was found to obey this principle. The researchers expect that this design logic of cellular systems can also be used to develop efficient synthetic systems and materials. Living cells measure concentrations of molecules (blue) via biochemical networks consisting of proteins that react with each other. Researchers from AMOLF described how the measurement accuracy is determined by the number of proteins, the measurement time, and the energy consumed by the system.